The phrase, 'appearances are deceptive' fits no one better than Alphons Joseph of Aaromale fame. The formally dressed musician can pass off as an executive of a multi-national corporation or a soft-spoken priest -- without the habit, of course. It is only when he sings that his true personality comes forth. The musician burst into the Malayalam film scene almost half a decade ago as a music director in veteran director Bhadran's Vellithira. 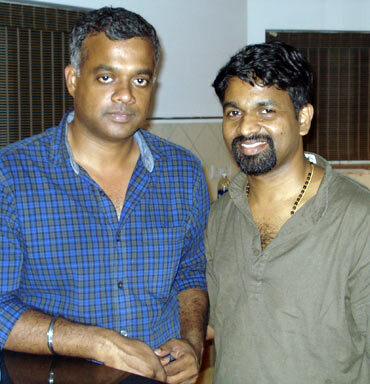 But it is his rendition of Aaromale from Gautham Vasudev Menon's Tamil film Vinnaithaandi Varuvaaya, which made him famous. The icing on the cake is that the music has been composed by Oscar and Grammy winner A R Rahman. Did you expect Aaromale to be such a rage? The song is very good; an unconventional composition. I was a bit apprehensive about its reception as it isn't a traditional song; there is no Pallavi-Anupallavi kind of thing here. It's more of a Blues kind of wail. I'm very happy that it has been well received. 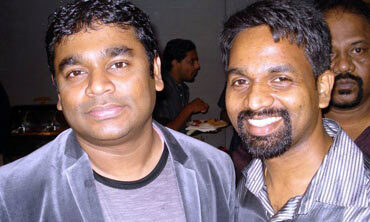 How did your association with A R Rahman start? Rahman sir had come for the music launch of Vellithira. I'd sung a song there. After hearing me sing, he asked me what my ambition was; to be a singer or a music director? I said music director. We kept in touch through SMS for a long time. We met again after a few months at a function to felicitate him on winning the Oscar. After the function, there was a get together at his home. I went there along with Sivamani. There I got a chance to talk to him at length and give him another song of mine where I'd fused western and Carnatic style of singing. The next thing I knew, I was singing for him. You are a music director. How was it working under another music director? Initially, I was very nervous and couldn't get it right. 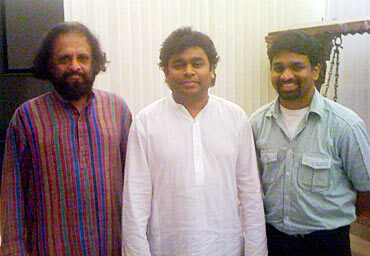 But, Rahman sir was very patient and made me comfortable. It was a learning experience for me on how to get the best out of my singers. 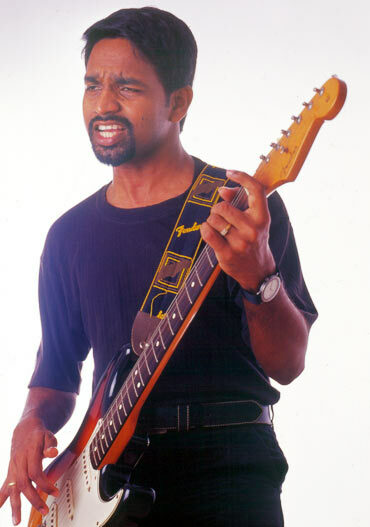 One striking similarity between Rahman and you is spirituality -- your band, Rex Band, specialises in Gospel Music. Does this belief in God help with the creative process? To attain a certain degree of excellence, every creative process should be rooted in spirituality. I like Rahman sir's thoughts on this; he says music is just a filling between his prayers. In college, my friends and I tried to give hope to the depressed and wayward young people. Rex Band just became an extension of it. My faith pushes me forward; It helps me to be positive. Last year I could not do any work because of health problems. Some people said I was jinxed. But I knew that it was just a passing phase. This year began with Aaromale. 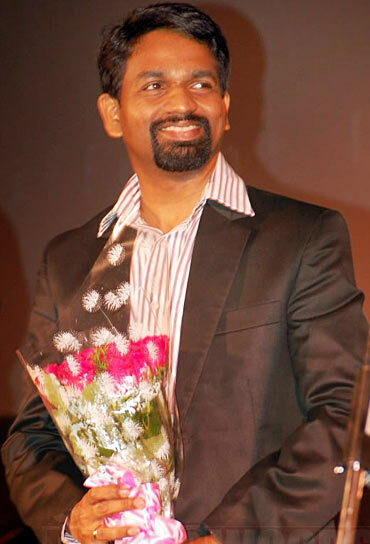 I've also got few interesting projects including a Hindi one as a music director. I'm not studying for professional gains. I'm gaining knowledge for my own satisfaction. There is a lot more to learn and that is why I registered myself for a post graduation in the School of Drama, Thrissur. I can't attend all the classes. But I try to catch up by recording and listening to them while travelling. Do you try to inculcate respect for traditional music in youngsters who come to you? Today's youngsters wish to gain success instantly. As far as possible, I try to be an example for them. I try to make the contestants of the reality show on Amrita TV, which I'm associated with, good human beings.